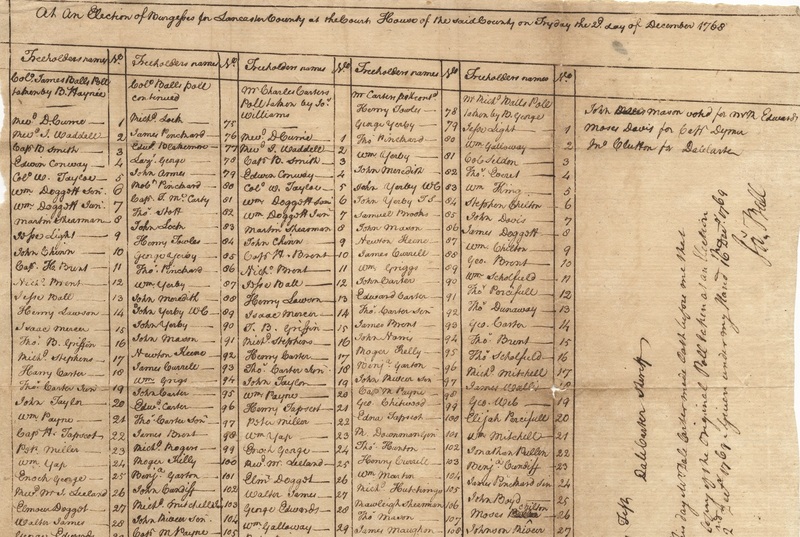 This election return records Lancaster County’s votes for the House of Burgesses on December 2, 1768. By Virginia law, each county selected two men to serve in the House of Burgesses, who with the Governor and the Governor’s Council comprised Virginia’s General Assembly. Elections did not take place annually or even regularly; they usually occurred following the governor’s dissolution of the Assembly and call for a new one or the death or resignation of a burgess. Directed by a writ from the governor and his Council, the county sheriff posted notice of the election date at courthouses and ordered that the notice be read in parish churches in the Sundays leading up to the election. The right to vote in colonial Virginia was limited to freeholders, or white males who owned certain amounts of land either outright or through a lifetime lease. By 1736 Virginians had to own at least 100 acres of unimproved land or 25 acres of improved land for at least one year before an election. Sheriffs conducted elections at the county courthouse. There was no private ballot: freeholders cast their votes aloud, directly in the presence of candidates who employed clerks to record the poll. In a practice known as “treating,” candidates often provided alcohol and food to voters, both opponents and supporters, before (legal if done before the sheriff announced the writ calling for elections) and after elections but even on election day itself. On this day in Lancaster County, voters elected Colonel James Ball and Charles Carter to represent them in Williamsburg. Note that the first two names recorded under Ball’s and Carter’s polls were those of the local clergymen: Church of England minister David Currie and Presbyterian minister James Waddell. When Virginians woke up on September 14, 1752, they must have felt like they had been asleep for eleven days. Well—not exactly. Up to that point, England and its American colonies were still on the Julian calendar, first implemented by Julius Caesar in 46 B.C. In 1582 Pope Gregory XIII introduced the Gregorian calendar to correct deficiencies in the Julian calendar that affected the timing of seasonal equinoxes and Easter. Unlike Spain, Portugal and other Catholic countries, Protestant England held on to the old calendar. 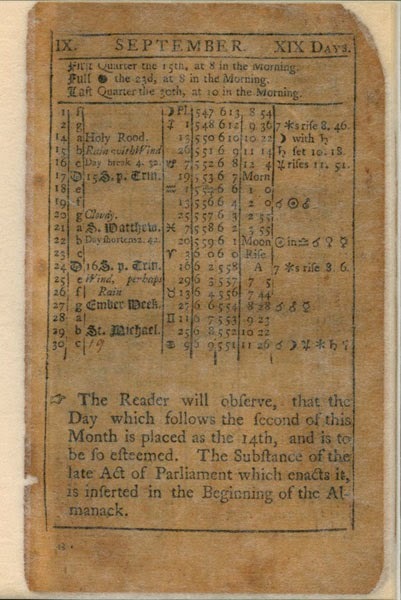 In 1750, citing “divers[e] inconveniences,” “frequent mistakes” and “disputes” arising from the two calendars, Parliament passed the Calendar Act. This act authorized adoption of the Gregorian calendar and moved the beginning of the new year to January 1 instead of March 25, which England had recognized (legally) as the first day of the year since the 12th century. 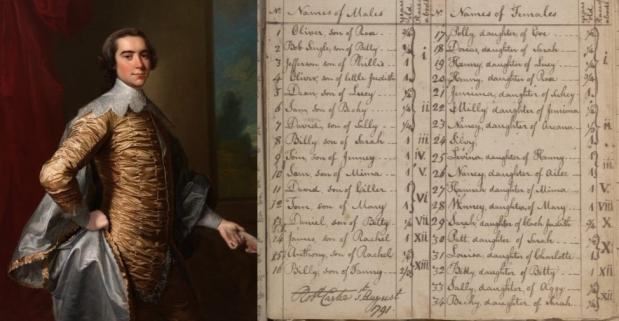 Dates between January 1 and March 24 often were written like this: January 9, 1722/23. By this point, the Julian calendar was 11 days off from the Gregorian calendar and the true solar year. To remedy this, the Calendar Act declared that September 2, 1752 would be followed by September 14. The plan freed slaves gradually according to age. Though it was designed to withstand resistance from his heirs and the community, Carter’s children and his neighbors fought his plan fiercely in public and the courts. Carter’s document, however, withstood these challenges. As Carter recorded the first emancipation certificates, his enslaved people seized newfound opportunities for freedom. Former slaves now negotiated with their former master to farm Carter’s lands on their own and unite with family members, many of whom still toiled in slavery. Despite tightening laws on free blacks, most of the freed men and women stayed in the counties where they had been enslaved. The work of emancipation continued as late as 1852, when Carter’s daughter Julia certified the freedom of Elias Reed. Today thousands of people in Virginia and other states trace their ancestry to the more than 500 individuals ultimately emancipated by Carter’s deed and the new world they forged in freedom. 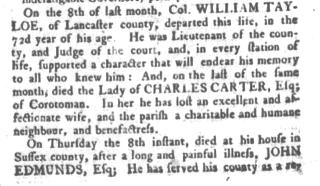 This post from the Virginia Gazette reported the death on January 31, 1770 of Mary Walker Carter, first wife of Charles Carter of Corotoman. Published three weeks after her death, the account said in her Carter “has lost an excellent and affectionate wife, and the parish a charitable and humane neighbour, and benefactress.” Mary and Charles were both the grandchild of Robert “King” Carter but by different wives: Mary by “King” Carter’s second wife Betty Landon Carter and Charles by his first, Judith Armistead Carter. Within the year Charles Carter had remarried. The paper reported in its November 29, 1770, issue that Carter had married “Miss Nancy Moore, second daughter of Colonel Bernard Moore.” In the mid-1770s the couple would move to Shirley on the James River following the death of Carter’s mother, Elizabeth Hill Carter. Among the objects on display in the Carter Reception Center museum is a gold watch made by renowned watch and clockmaker Thomas Tompion of England. Born in Bedfordshire in 1639, Tompion apprenticed to a London clockmaker when he was 25. A decade later, Tompion set up shop at The Dial and Three Crowns at Fleet Street, where he produced over 650 clocks and 5,500 watches until his death in 1713. Historic Christ Church & Museum’s Tompion watch, signed and numbered by the maker, dates to 1711-1713 and is 22-carat gold. Robert “King” Carter gave the watch to his daughter Elizabeth, who in 1724 married Dr. George Nicholas of Williamsburg. The watch descended through the Nicholas family until it was purchased by Robert Hill Carter II, who left it to his son Beirne Blair Carter. Beirne Carter and his daughter Mary Ross Carter Hutcheson loaned the watch to HCC&M in 1976 for display in the museum.